For a long time now I have been an outspoken critic of the trend for governments to move towards heavy taxes being imposed on Australians for probate services. Last April (2016) I responded to the latest Probate fee increase implemented by the South Australian Government. The fee increase, was, as I went on to explain, “…so exorbitant there can be no other way to classify it other than the reintroduction of a Death Tax.”. Many years ago, in South Australia, we had a Death Tax (referred to as Death Duties). In South Australia, these duties were paid upon an individuals’ death, and being based upon the value of the estate, were a reliable source of revenue for the government. Death Duties were eventually abolished in 1980 and were replaced with a more modest (and flat rate) probate filing fee. As I mentioned in my article, last April these fees were increased, along with the introduction of a sliding scale for the amount that is required to be paid (dependent on the size of the estate). While it is not actually referred to as being a ‘Death Duty’ it is hard to see it as being any different to the one that was abolished many years before. The United Kingdom has recently announced a significant change to how fees will be charged in relation to the administration of estates. Up until now fees for the filing of probate was a standard and flat rate of £155. However, from May 2017, this is all set to change with the implementation of a sliding scale for fees, solely dependent on the value of the estate in question. 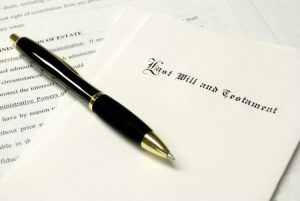 While smaller estates, those less than £50,000 in value, are released from paying probate fees; the vast majority of estates will be slugged! For instance, a relatively small estate, one that exceeds £300,000 (yet is less than £500,000), will pay £1,000 in fees. Even more staggering is that the average estate, that where assets sit between £500,000 and £1M, will pay fees of £4,000. The sliding scale grows in increments with all estates in excess of £2M being charged fees totalling £20,000. Make no mistake, this is a blatant attempt on behalf of the UK government to reintroduce a Death Tax. While solicitors in the UK (and even Australia) are currently racing to settle existing estates before the May deadline, the more interesting issue is the impact that this move will have on our own State Government. From May 2017, the UK Probate Filing fees will exceed those currently in place in South Australia. Clearly, we should all be concerned that the UK fee increase will act as an enabling influence for our own government to increase fees to this same (or even greater) level. Are you cringing yet? If not, you should be. Of course, I’d urge all South Australians to join with me and place pressure on our current State Government to ensure that the current fee structure is placed on hold and that immediate steps are taken to return to a fairer system that charges a reasonable flat fee for probate filing services.